The airport Split, also known as Resnik airport is located in the town of Kaštela, 24km from Split and 7km from Trogir. Resnik is the 2nd busiest airport in the country, following Zagreb airport Pleso and surpassing Dubrovnik airport Čilipi. Althoug it is a small International airport with just one runway and one terminal, it handled over 1.5 million passengers in 2013!. How to get to Split airport? 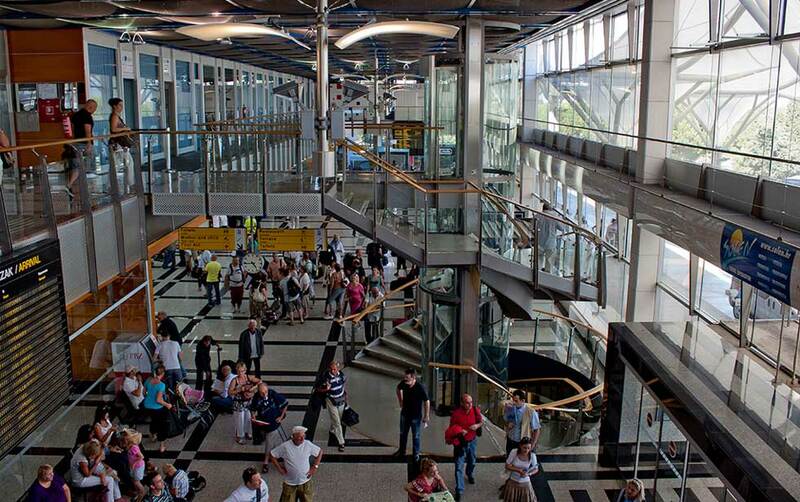 There is a regular shuttle bus service from Split, departing 90 minutes prior every flight. It leaves from the main bus terminal from platform 5. The service is provided by Pleso prijevoz. The price of a one-way ticket is 30 kuna per person. A return ticket is 40 kuna per person, payable in cash. Buses depart from the airport half an hour after landing. Shuttle busses from Split Airport depart 20 minutes after air plane landings. No. 38 (Split Airport – Kastel Stari – Split; Split – Kastel Stari – Split Airport). Just like Dubrovnik airport, Split airport is NOT open 24/7 so sleeping at the airport isn't possible. The airport closes at 22:00 if there are no later flights. There are also no hotels on the airport or close around so staying in Trogir or in Split are your options. A popular activity among locals, but also among tourists at the Split airport is airplane spotting as the airport boundaries are very close to the runway. On the first Saturday of August an event is held "Aerodernek" - a gathering of enthusiasts which camp next to the runway and enjoy planes arriving and departing. Dubrovnik Airport is located in Čilipi, approximately 20 kilometers from Dubrovnik and 6 kilometers from Cavtat. It takes about 30 minutes by shuttle bus from Dubrovnik airport to the city of Dubrovnik.